Railpictures.ca - Bill Hooper Photo: Westbound generalk freight 481 has just departed Kenora and crosses the Winnipeg River at its intake with the Lake of The Woods. An eastbound sits on the north track waiting to enter the yard. CP had left hand running on its Kenora Division from Winnipeg to Thunder Bay. | Railpictures.ca – Canadian Railway Photography – photographie ferroviaire Canadienne. Caption: Westbound generalk freight 481 has just departed Kenora and crosses the Winnipeg River at its intake with the Lake of The Woods. An eastbound sits on the north track waiting to enter the yard. 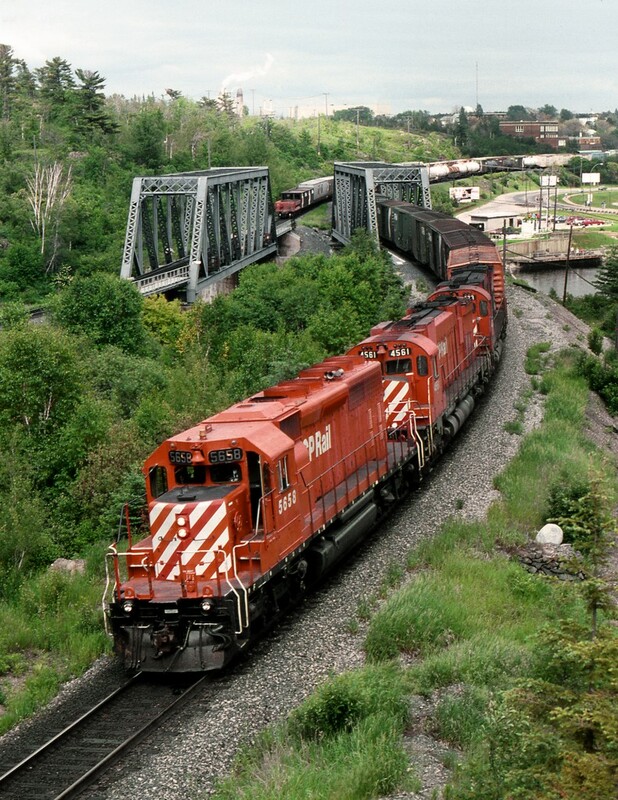 CP had left hand running on its Kenora Division from Winnipeg to Thunder Bay.